After my visit to Jandeep school at Dumre, my next stop was Basanta Primary School at Bagnas. This is always a nice school to visit, not least because it is so easy to get to, being just a 45 minute walk away! It is also always interesting, as I tend to turn up here without giving any notice to the school so arrive to see a 'normal' day with no special preperatations. I took class 5 to make some leaflets about animals, as I have done at several schools recently. Like everywhere else, the children loved having the chance to be creative and it was clearly a big treat to have the colouring pencils and felt-tip pens out! All the children went to their text books to find animal pictures they could copy. While I loved to see the initiative they took, it again highlights the lack of opportunities for creative activities that they couldn't create their own pictures from scratch. 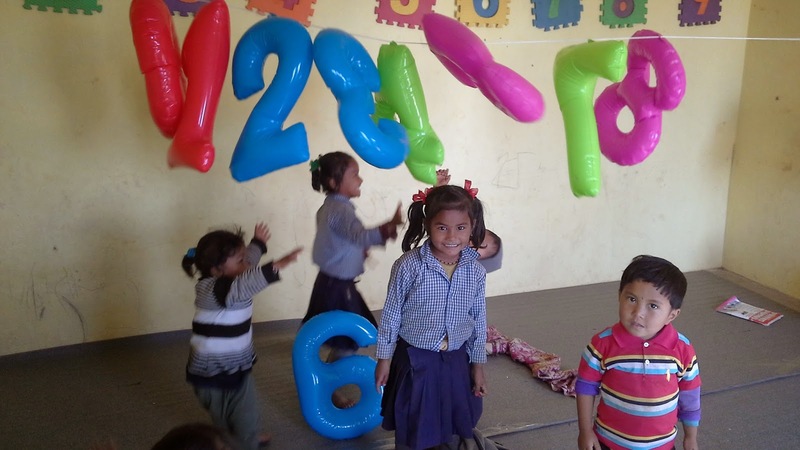 The school has a good library, which has been provided by Room to Read, another NGO working to improve education in Nepal. Each class gets the chance to go in once a week and read books of their own choice. As well as books there were a number of toys and games in the library which were being underused, so I took these to nursery where the children were thrilled! It was clear they hadn't used many toys like these before, few of them thought of putting building blocks on top of each other. Instead, the blocks became cars and airplanes but it was great to see so much imagination and laughter! After my visit to Basanta school, I had to make a trip to Kathmandu to visit the British Embassy. While I've had my share of bad bus journeys in Nepal, this was the worst yet, being squeezed into the back seat of a minibus with leg room for a hobbit for 10 hours, and the return was not much better! 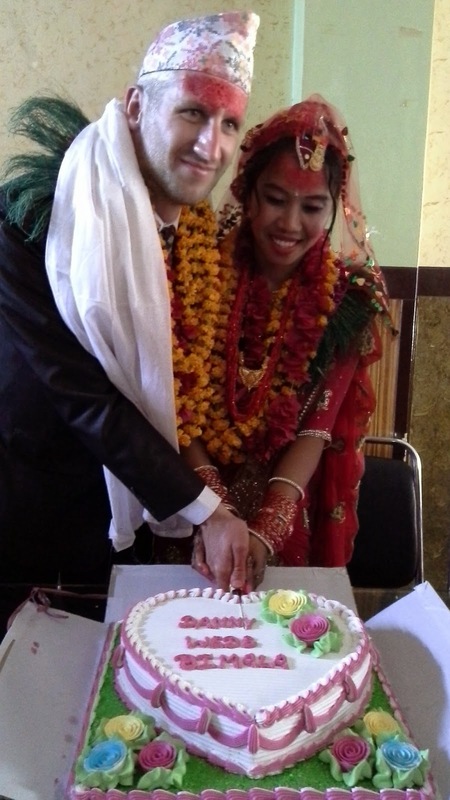 This was a journey I had never imagined I would be taking when I came to Nepal, as the reason for visiting the embassy was to get a certificate allowing me to get married! A lot can happen in four months but marriage is certainly a surprise that will take some beating! 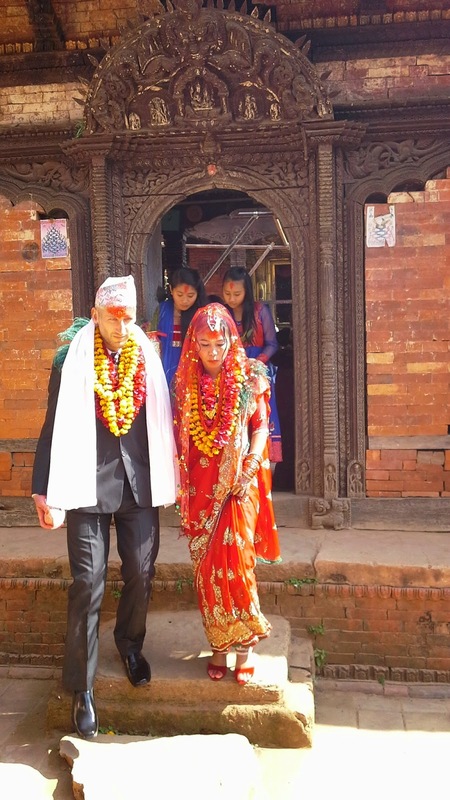 A couple of days after returning to Tansen it was off to the temple for the marriage ceremony! While I spent most of the day being confused about what exactly I was meant to be doing (and understanding the significance or meaning of virtually nothing) by the end of the day I was married to my beautiful new wife, Bimala. It was a great days with friends and new family here in Nepal and I'm very happy and excited to be married and to know my involvement with Nepal won't be ending when I head back to England in 5 weeks time! Having the marriage made legal is a little less fun, with Nepali administration being incapable of organising a cup of coffee, let alone a marriage certificate! But after countless visits to various people in government offices we are slowly getting there and I will be returning to England as a married man!